It's been almost two years since Spokane chef Jeremy Hansen, owner of Sante, accepted an invitation to cook at the prestigious James Beard House, bringing Northwest Cuisine to the New York institution of fine dining where only the best-of-the-best chefs come to cook. Now, he's gotten another notice from the folks at James Beard. 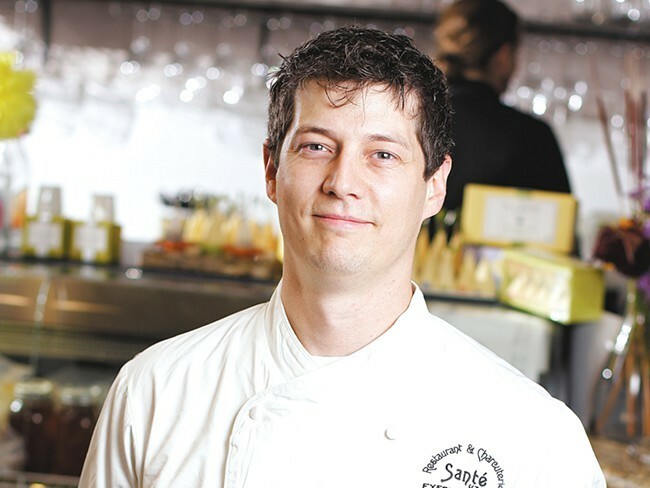 He's been named as a semifinalist for the James Beard Foundation's Best Chef Award for the Pacific Northwest region. The list of 20 chefs in contention for the award features no other Spokane or Idaho chef and almost every other nominee is from either the Portland or Seattle area. The prestigious awards — a James Beard recognition is about as high an honor for the nation's restaurant industry as there is — are chosen from a field of about 35,000 nominations, which are then whittled down to the manageable list of semifinalists by a committee of food critics, chefs and others. Awards are given out at a gala in Chicago on May 4 and you can be guaranteed that Spokane's culinary committee will be hoping that Hansen gets an invite.